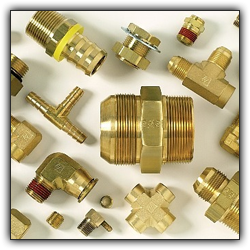 Being renowned and trusted brass sanitary fittings manufacturers in India, our products are widely appreciated worldwide for accurate dimensions, performance or strength excellence etc. Our offered range of sanitary fittings and PPR mouldings are widely suitable for varied industry applications. 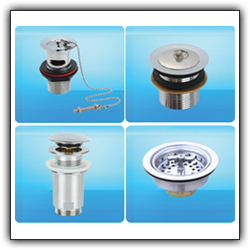 We offer customized product solutions to fulfill special demand of industry. We make sure that each of our products is prepared as per international quality standards and norms. Our intensive range of product has to pass through stringent quality checks before they are released to market. This is our efforts and dedication that we are able to capture market attention so soon. √ Backed by skilled staff and professionals, we are able to deliver quality solutions to our clients that give us competitive advantage over others. √ We go for high quality raw materials while manufacturing our products and raw materials are always purchased from trusted vendors only. √ The continuous research and development by our expert team make our products more innovative and desirable for our clients. To know more about our products and to avail remarkable product solutions, you just have to discuss your requirements with us and we will give you most amazing solutions to suit your industry requirements. Our working product solutions help industries in maximizing their overall efforts in the long run. Copyright © 2015 DODHIA BRASS MOULDING WORKS. All rights reserved.